Hotel accommodation in Lucianópolis possible? Yes, you can! But the capacity is analog of the size and meaning of Lucianópolis not large, because Lucianópolis has only approx. 2,200 habitants. 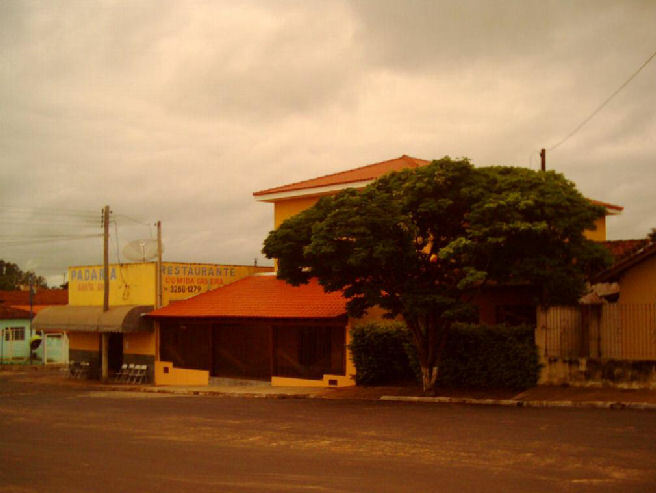 However one small and cheap hotel with 6 rooms is recommend, 4 weeks for only 1,400 reais (approx. 500 euros) in one double room with full pension with good Brazilian cuisine in the restaurant "Santa Ana" directly in the first floor are possible. The hotel is ne wand was opened in February 2008, my wife and I were the first guests oft he hotel. The hotel owner is proud of her first hotel guests who are Germans. She wrote, that she will not forget us in her total life. Full pension with double room for 2 persons per day 50 reais (approx. 20 euros, really cheap in the relation to the hotels in Germany and on the Canary Islands). Requests please by email – we will translate them into Portuguese and forward them to get contact with the hotel.